The American Red Cross has entered into a partnership to pilot the use of telemedicine during periods of disasters in the US. During the pilot a nationwide network of physicians will be available for consultation via video calls. Through this pilot collaboration, physicians working with Red Cross partner Teladoc will be available to people helped by the Red Cross whose access to health care providers has been limited or is unavailable after large-scale disasters. Teladoc’s virtual physician visit services will be made available via web, Teladoc’s mobile app and phone to address the primary health care needs of individuals affected by disasters. Teladoc is reported to have donated remote medical care during the recent Hurricane Matthew. This partnership is positioned as an expansion of such disaster relief efforts rather than an expansion of its commercial activities. Use of telemedicine in disaster relief has been implemented previously in the US by the Department of Veterans Affairs (VA). In 2014 the Office of Emergency Management of the VA awarded a contract to use the JEMS Technology disaster relief telehealth system. Going back much earlier, following the December 1988 earthquake in Armenia and the June 1989 gas explosion near Ufa, a satellite based audio, video and fax link, known as the Telemedicine Spacebridge, between four US and two Armenian and Russian medical centres, permitted remote American consultants to assist Armenian and Russian physicians in the management of medical problems. Last year NATO tested use of telemedicine in disaster situations in a simulated disaster scenario in Ukraine. Another system, Emergency Telehealth and Navigation, is deployed in Houston for helping with 911 calls. The Houston Fire Department has agreements with doctors so they have access to a doctor at any time to take calls from crew at emergency sites. They find that this avoids having to take some people to hospital when a doctor is able to determine that a condition is non-emergency where a paramedic may well have taken the patient to an Emergency Department. “It’s almost like we’ve learned nothing from Bluetooth” says Justin Dolly, CISO at cybersecurity firm Malwarebytes. “Seeing what these IoT vendors are doing, it just blows me away because they haven’t learned from history,” says Steve Manzuik, director of security research at Duo Security’s Duo Labs. “They’ve completely ignored everything that’s ever had bad vulnerabilities”. Many of these devices, according to these experts, have default log in credentials, if they have them at all. IoT devices are also allegedly findable on a snoop site called Shodan. Reason why: the financial and market need to get products out fast and cheaply. Varonis also gives a how-to on changing settings in your router so you don’t become a victim, and how to secure your gadgets. Bottom line: when Hackermania is Running Wild, do you, or anyone, really need to be an early adopter of an internet- connected coffee maker or fridge? And if you need internet-connected home security, telemedicine virtual consults, telehealth/remote patient monitoring or telecare….best heed Varonis and secure it! Orthopedic device maker Zimmer Biomet today (27 Oct) announced the acquisition of St Louis-based telerehabilitation + telehealth company RespondWell. RespondWell provides several facets of post-surgical physical therapy: telerehabilitation with clinically prescribed exercise routines, virtual doctor-patient consults, tablet-based personalized care plan delivery and data collection/RPM, and ‘gamified’ patient engagement tools. Up to the acquisition, according to Xconomy, RespondWell had raised $2 million from investors and had been seeking another raise of $8 million. Zimmer’s purchase price was not disclosed, but the changeover was swift, with the RespondWell website already copyrighted and top-bar tagged with Zimmer’s information. Based on the release, RespondWell will be integrated into Zimmer Biomet Signature Solutions, using the brands Therapy@Home and presumably their original Fitness@Home. RespondWell’s former CEO Ted Spooner has been named VP of Connected Health at Zimmer Biomet; in his interview with MedCityNews, he was pleased at the exit and the acquisition by a company which wants to scale his solution. 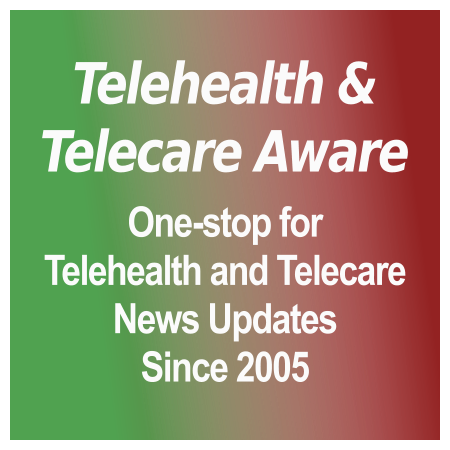 An under-the-radar move by Intel-owned Care Innovations, which markets the Health Harmony telehealth and the QuietCare behavioral telemonitoring systems, is their entrance in the behavior change training business. Care Innovations developed an accredited (CE eligible) training course for nurses to effect behavior change in patient beyond what may be a limited telehealth engagement. According to their release, the training will help them with coaching patients to increase their engagement with their health and identifying areas for improvement, along with the appropriate technology. Discussing the most common challenges associated with acting as the coach, which are avoidance, ambivalence, resistance and compliance. There are three sessions before the end of the year, priced at a relatively modest below $300 rate, with group discounts. Information is on their website here. It’s an interesting move in that the training seemingly is not exclusive to CI clients, although this Editor would expect that 1) it would fit best with CI’s system and 2) is a way of cultivating prospective clients in an academic, value-added way. [grow_thumb image=”http://telecareaware.com/wp-content/uploads/2016/10/Kings-fund-call.jpg” thumb_width=”300″ /]Despite the colorful (and falling) leaves of autumn, The King’s Fund is looking forward to the Digital Health Congress on 11–12 Jul 2017. What’s up? First, they are looking for innovative digital health projects to feature. Contact Caroline at c.viac@kingsfund.org.uk for more information. The deadline to submit is Friday 9 December. 4. using technology and data to improve user experience and quality of care. Editor Charles was, of course, first out of the gate earlier this month, and has informative guidelines on this here. Omada Health’s Series C $48 million raise in September to boost validation, enhance its Prevention program and expand to state Medicaid for low-income patients. Current clients include Humana and Costco. Forbes attributed the size of the round to Omada’s approach in tying participant outcomes to over 50 percent of its compensation. 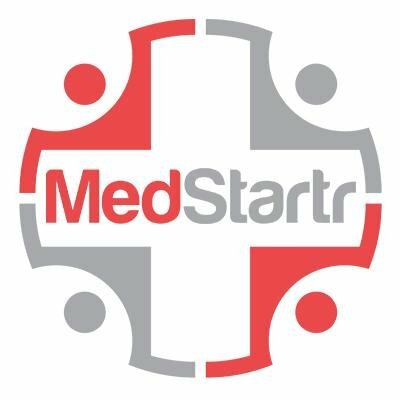 MedCityNews. Propeller Health‘s Series C of $21.5 million. This is a sensor on asthma meds such as inhalers that connects to an app. With 45 programs and clients like Dignity Health and Molina Healthcare, Propeller has been growing intensively since this Editor last saw them at the 2014 NYeC Digital Health Conference. Their total funding is now $45 million. TechCrunch. And now that we mention it–don’t forget that TTA Readers receive a 10% registration discount on this year’s conference 6-7 December–use code TTA when registering. Click on the advert in the right sidebar to enter registration or view their event website. A recently published white paper from Ziegler, a specialty healthcare investment bank, that actually does what it says –deconstruct the US telehealth (and telemedicine) industry. It also constructs a framework of ‘who does what’. Good graphic and text (but not infographic, mercifully) detail on the shareholders, barriers, tailwinds and future state, plus financial/acquisition participants and a compact growth history. Article here on Benzinga, or go directly to Ziegler to download. …a set of instructions that processes input data and creates output data. [grow_thumb image=”http://telecareaware.com/wp-content/uploads/2015/03/26ED4A2300000578-3011302-_Computers_are_going_to_take_over_from_humans_no_question_he_add-a-28_1427302222202.jpg” thumb_width=”150″ /]Friday’s multiple distributed denial-of-service (DDoS) attacks on Dyn, the domain name system provider for hundreds of major websites, also hit close to home. Both Athenahealth and Allscripts went down briefly during the attack period. Athenahealth reported that only their patient-facing website was affected, not their EHRs, according to Modern Healthcare. However, a security expert from CynergisTek, CEO Mac McMillan, said that Athenahealth EHRs were affected, albeit only a few–all small hospitals. [grow_thumb image=”http://telecareaware.com/wp-content/uploads/2016/10/exo-glove-giphy-5.gif” thumb_width=”200″ /] There are many people who have lost hand mobility due to injury, stroke and other neurological conditions. Exoskeletons are a great idea, but for a small area far too bulky. At Seoul National University, research director Kyujin Cho and a group of SNU Biorobotics Lab students, working with disabled people, have developed the Exo-Glove Poly, a soft wearable robot ‘glove’ that is capable of grasping objects. Three soft, tactile fingers fit over the wearer’s thumb, index finger and middle finger, with a tendon-like routing system of wires connected to a motor which opens and closes the hand. It is waterproof, washable and reasonable looking. According to the article in AtlasoftheFuture.org, this assistive technology is scheduled for commercialization in late 2017. Exo-Glove Poly website. Hat tip to contributor Sarianne Gruber via LinkedIn. But the panel at MedCityNews’ ENGAGE touched on a point that rankles most pre-diabetics and Type 2 diabetics–the lack of empathy both healthcare and most people they know, including family, have for their chronic condition. Many feel personal shame. And digital health ‘solutions’ (a tired term, let’s retire it!–Ed. Donna) either drown the patient in data or send out, as Frank Westermann of Austria’s mySugr said, a lot of negative messaging. Adam Brickman of Omada Health, whose ‘Prevent’ programs are mainly through payers and employers, noted it was a real challenge to get people to change their lifestyle, but also change their state of mind. Their model includes peer support and health coaching, specifically to include that empathy. Home support also makes all ther difference between those who successfully manage their condition and those who don’t, according to Susan Guzman of the Behavioral Diabetes Institute. The approach is certainly not one-size-fits-all. MedCityNews In September, Omada received a sizable approval on its approach via a Series C round of $48 million. Current clients include Humana and Costco. Forbes attributes the size of the round to Omada’s approach in tying participant outcomes to over 50 percent of its compensation.